Why Do I See What Cannot Be? My eyes play tricks again. There on the mantle, beside my work awards and the ashes of Templeton and Scout and Emma and pictures and keepsakes, I thought I saw Boo. But Boo isn’t allowed on the mantle. Some things from the mantle have fallen off lately and broken, likely from micro-climates creating sudden whirlwinds that come down the chimney. That I can explain, that I can see. But Boo I cannot, yet I do. 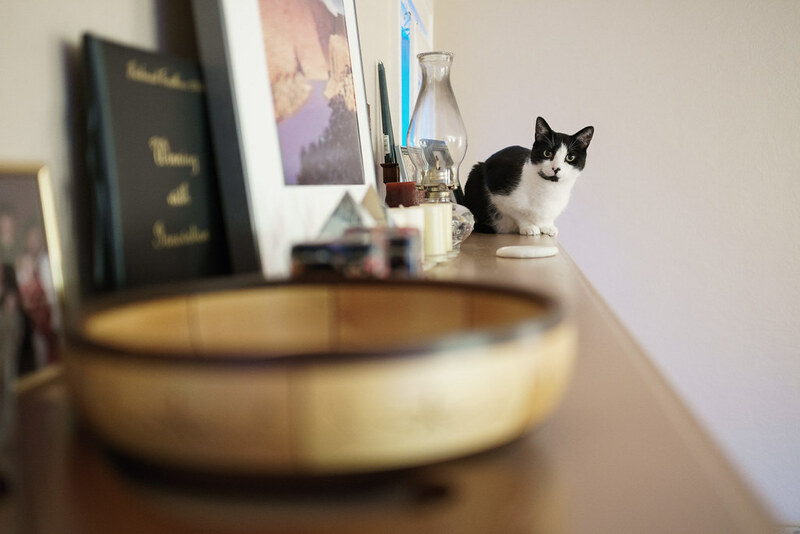 This entry was posted in Pets and tagged black-and-white cat, Boo, cat, sitting. Bookmark the permalink.